(CBS/AP) NEW YORK - Beverage and fast-food companies are attacking a proposed ban in New York on the sale of large sodas and other sugary drinks. 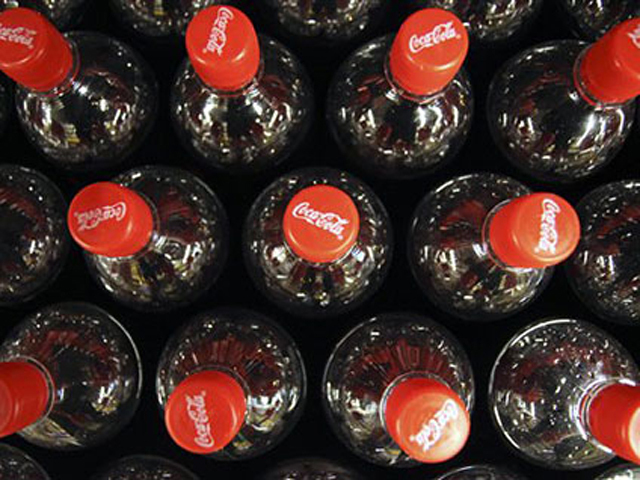 The Coca-Cola Company (KO) attacked the plan and encouraged residents to rally against it. The ban, proposed Wednesday by Mayor Michael Bloomberg in support of his administration's efforts to improve public health, would impose a 16-ounce limit on the size of sugary drinks sold at restaurants, movie theaters, sports venues, street carts, and other food service establishments. It would apply to bottled drinks as well as fountain sodas. New York food service establishments would be required to take 20-ounce soda bottles off the shelves and strike them from menus. Fast-food chains also would have to hand out cups no larger than 16 ounces regardless of whether someone purchases a diet drink; refills would not be prohibited. The initiative is the latest health effort by the administration to spark accusations that the city's officials are overstepping into matters that should be left in the hands of individual consumers. For beverage makers, the issue is also one of dollars and cents, with the move potentially affecting sales in the country's largest metropolitan market. Other cities also could follow New York's lead with their own beverage restrictions. Beverage industry trade groups reacted harshly to the plan. "There they go again," said New York City Beverage Association spokesman Stefan Friedman in a statement. "The New York City Health Department's unhealthy obsession with attacking soft drinks is again pushing them over the top. The city is not going to address the obesity issue by attacking soda because soda is not driving the obesity rates." McDonald's (MCD) also condemned the plan. The fast-food giant said in a statement that it informs customers of the nutritional content of its food and, in New York, details the caloric content of items on a menu board. City Hall officials, citing a 2006 study, argue that sugary drinks are the largest driver of rising calorie consumption and obesity. They note that sweet drinks are linked to long-term weight gain and increased rates of diabetes and heart disease. The ban would apply only to drinks that contain more than 25 calories per 8 ounces. It would not apply to diet soda or any other calorie-free drink. Any drink that is at least half milk or milk substitute would be exempted. The ban, which could take effect as soon as March, would not apply to drinks sold in grocery or convenience stores that don't serve prepared food. Establishments that don't downsize would face fines of $200 after a three-month grace period. The proposal requires the approval of the city's Board of Health, considered likely because its members are all appointed by Bloomberg. Under the three-term mayor, the city has campaigned aggressively against obesity, outlawing trans-fats in restaurant food and forcing chain restaurants to post calorie counts on menus. The mayor has also led efforts to ban smoking in the city's bars, restaurants, parks and beaches. His administration has tried other ways to make soda consumption less appealing. The mayor supported a state tax on sodas, but the measure died in Albany, and he tried to restrict the use of food stamps to buy sodas, an idea federal regulators rejected. City Hall's latest proposal does not require approval beyond the Board of Health, although public hearings will be held.